This page is dedicated to my new work shop. 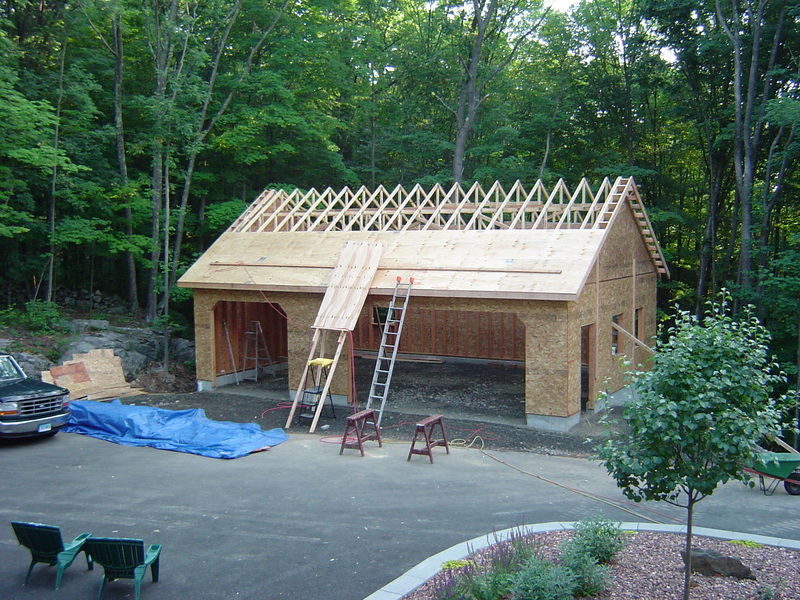 I built this starting in 2003. I will post the finish product on my home page; however, this is a long story. This is a picture of the inside soon after I finished. This picture was taken in April 2005. It is more crowded now. The walls are covered with tools and jigs. There is a little wear and tear but for the most part it looks pretty much the same. Here is the completed project including the CAD drawing. 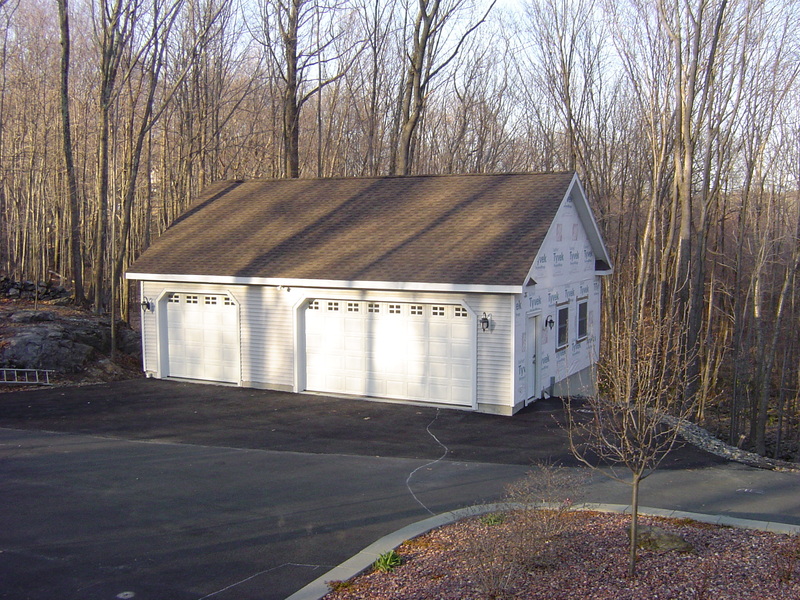 This is a picture of my home and I was standing very near to the location where I eventually built the garage. The company owner that did my landscaping gave me a reference for a contractor that he thought was the best in the area and he assured me that his prices were very good and competitive. I called the contractor and he came out to the house. I showed him some general concepts that defined the overall size, location and parameters for the garage and he agreed to give me a quote within one week. I got the quote on time and the price for just the shell (no interior finishing such as electrical, drywall, etc.) was $47,000. I was shocked! I needed to convince myself the quote was valid so I decided to estimate the material cost assuming the contractor doubled the material cost to estimate the price. This was the beginning of a long journey that eventually resulted in the decision that I would build my own workshop. I knew that in order to properly estimate the cost of material I needed to develop accurate drawings which would show all the detail of the construction. I had used various CAD package throughout my career and I like AutoCad. I did some research and discovered they wanted almost $800 for the smallest version of AutoCad, AutoCad Lite. I eventually purchased a copy (with a license) on Ebay for $300. 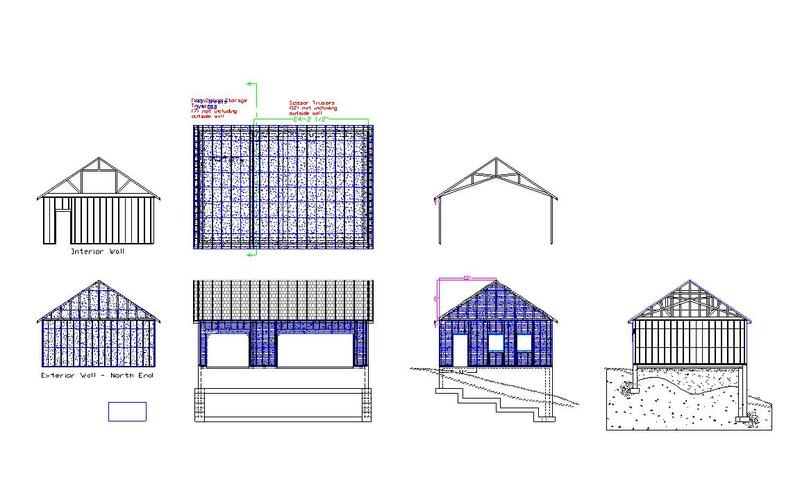 I spent the winter creating drawings for the foundation, framing, trusses, etc. It took a lot of phone calls and questions to determine what the local township codes required and how to design the foundation. When I completed the design, I had a very accurate set of drawings that I could use to estimate the cost. The cost estimate took some time to complete. I figured out all the material I need by creating a bill-of-material. Multiple trips to Home Depot and lots of phone calls to suppliers of windows, trusses, doors, etc., finally rolled up a total estimated cost for materials. The only big unknown was the foundation. I completed the design and estimated the volume of concrete required. I assumed $76 per cubic yard and I double the total cost assuming this would cover the labor. 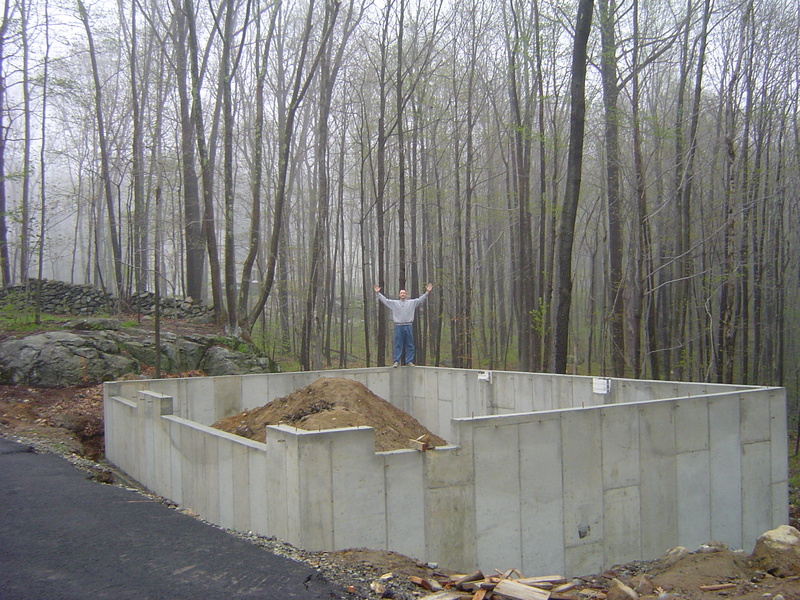 This turned out to be an inaccurate method to estimate the cost of the foundation. However, when I totalled all the costs, it came out to a little over $32,000. At this point I decided to build the garage myself and save on the cost of labor. 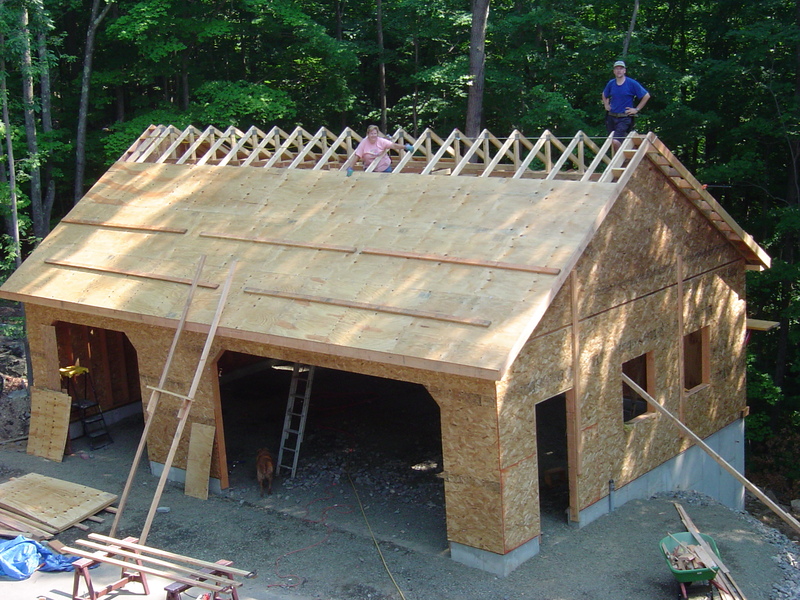 I knew I could not build the foundation my self so after filing for permits and getting the townships approval for the design, I went looking for a contractor. I had never done this before and I thought I need a general contractor who could coordinate an excavation company and someone who pours concrete foundations. I found this company just over the state line. I did a background check with the state licensing board and the Better Business Bureau and found no problems. 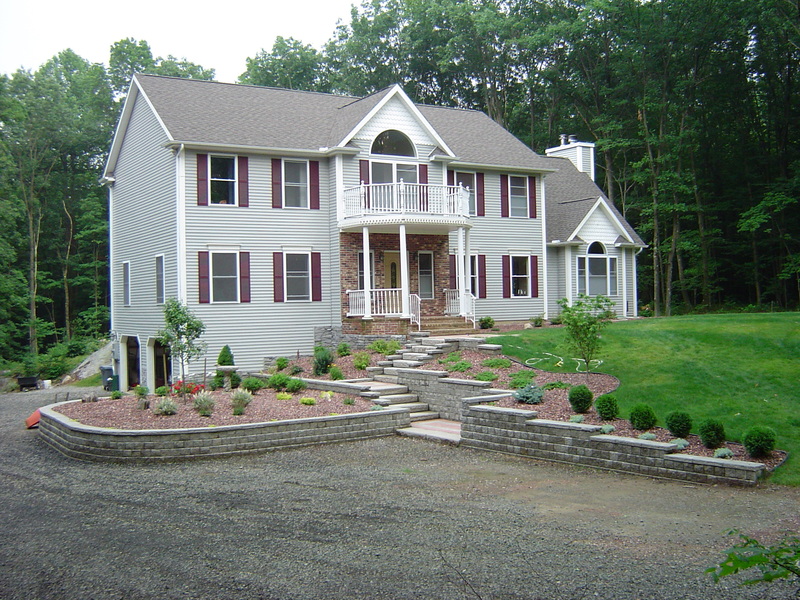 I was in a hurry to start the project and I quickly negotiated price and terms with the contractor. It turned out to be twice the cost of my original estimate and I had to give the builder a $7,000 down payment. He showed up with an excavator the next day. They dug the hole and disappeared. 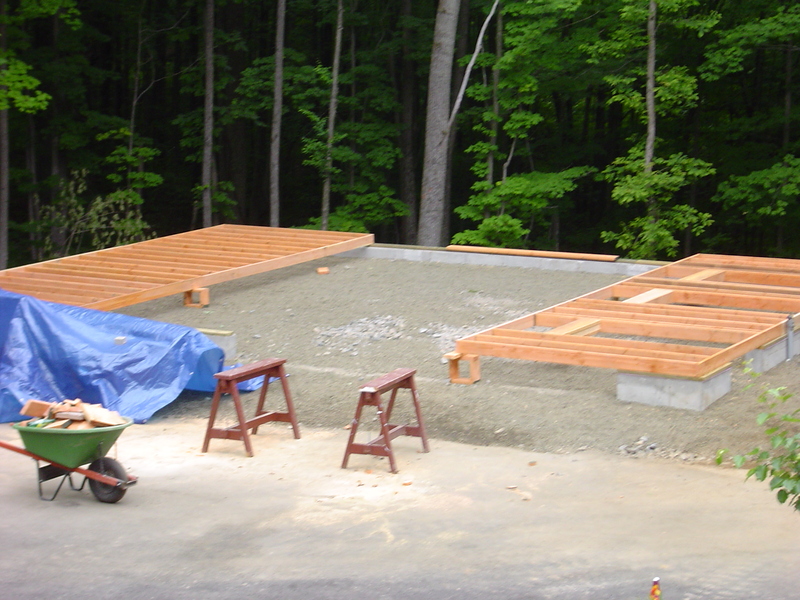 A week later the concrete subcontractor showed up and put in the forms and poured the footings. I was very pleased with the progress. Then all hell broke loose! 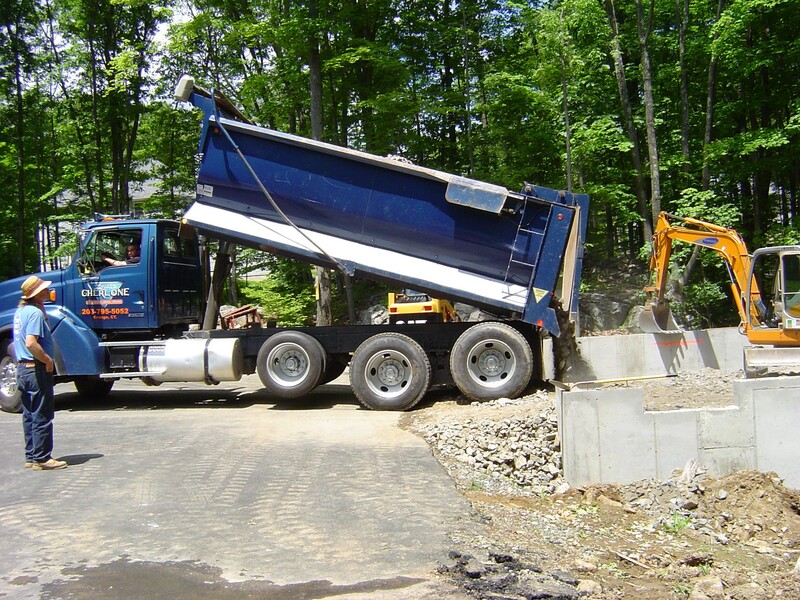 Shortly after the footings were poured, the contractor disappeared and the concrete subcontractor was left high and dry with no payments for the work complete. We both tried to find the contractor to no avail. I decided to pay the subcontractor directly to finish the foundation but my $7000 down payment was gone. I will tell you how that turned out later as the timeline unfolds. There were a few issues that cost me additional money for the foundation. Apparently the concrete subcontractor did not know that rerod was required in the walls. The forms had to be disassembled and the rod installed, $1,500! Once the foundation was poured it had to be filled with stone. With the foundation complete I was off and running building the shell. It took five weeks of working after work and on the weekends to get the frame up. I contracted the shingles and and I called the concrete subcontractor to come back and pour the floor. Next came the windows and doors. My goal was to get the garage enclosed before the weather turned cold. I planned to work on t he inside through the winter. 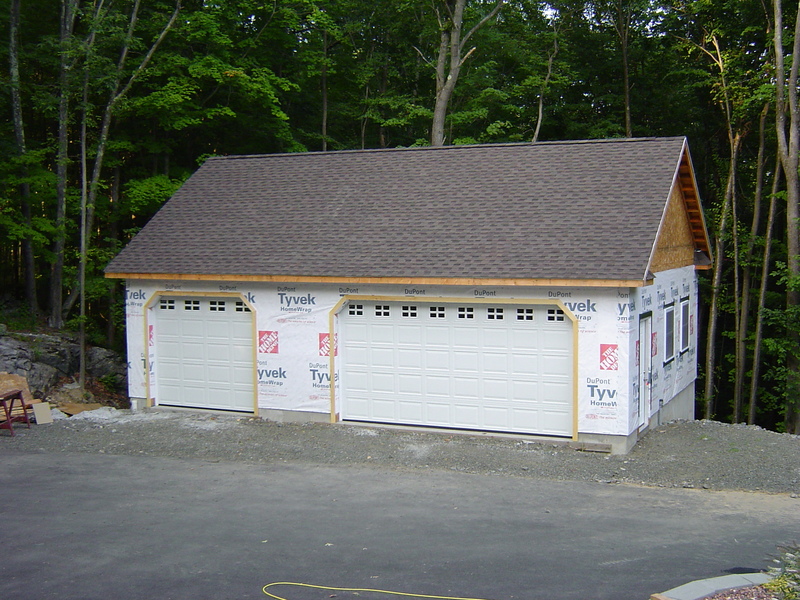 I built the garage with six-inch walls. I assumed I was going to heat the garage and I wanted the extra insulation from six-inch walls. Before I could drywall and insulate, I had to install the wiring and prep for the heater intake and exhaust. I pulled permits, installed a 100 AM service and wired four 220 V outlets, 12 120 volt outlets and 15 overhead fluorescent lamps. After the rough electrical, the insulation went in. 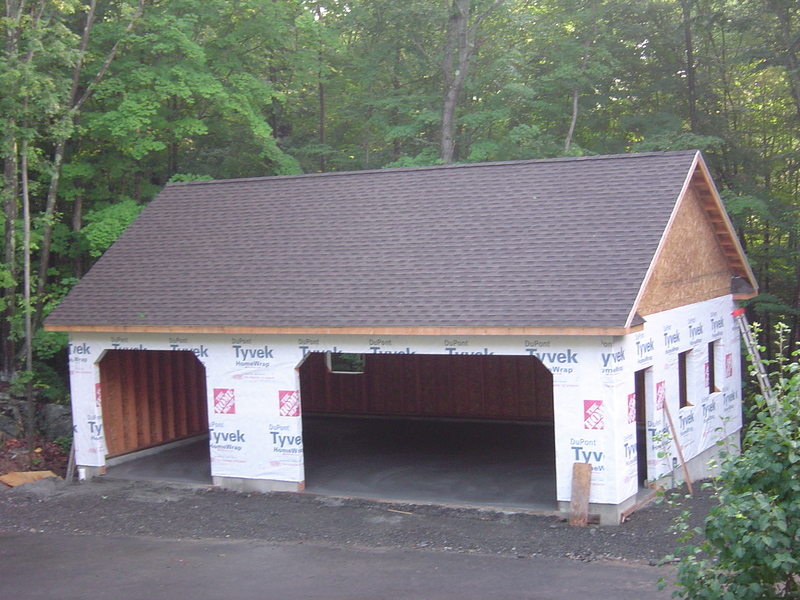 I should tell you that I built the garage with storage trusses so I would have room above the garage to store all my stuff. This also made it easier to wire and insulate. It also meant I had to install a retractable ladder for access to the storage area. The Drywall took most of the winter to put up. I used a temporary heater to keep the place above freezing and allow the mud to dry. When the drywall was complete I painted the interior semi-gloss white and painted the floor with epoxy grey. With the walls done, all that was left was finishing the electrical, installing the heater and getting final inspection. The heater I chose is a self-contained infrared tube heater. I chose this style because the flame is fully enclosed and the system draws cold air from outside into the heating chamber and exhaust outside. There is no risk of the flame igniting saw dust and no moving air in the workshop to spread dust. 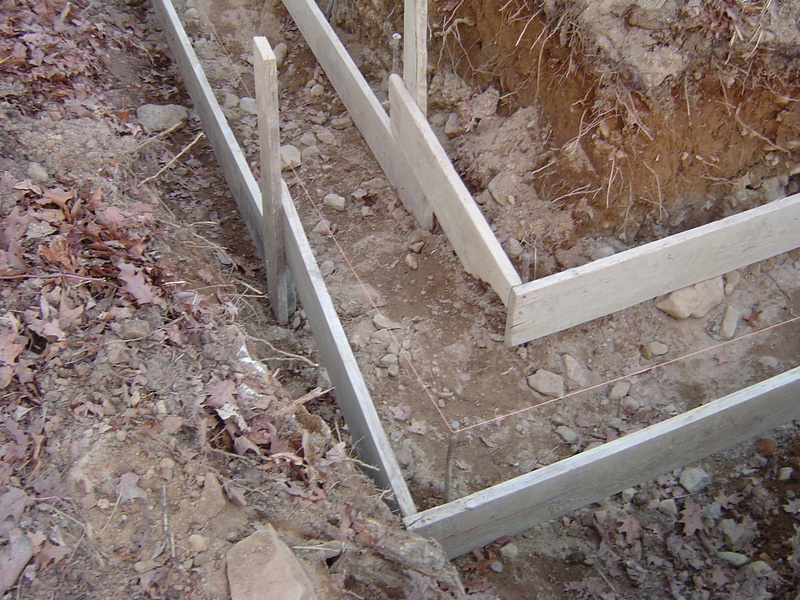 I never found the foundation contractor. However, the company was opened up in his wife name and it turned out she lived in Mt. Kisco. I consulted a lawyer and he convinced me that my only reasonable course of action was to sue her in small claims court. I could only sue for $3500 (I was out about $8,500) but any other course of action would cost so much in attorneys fees to make it not worth it. On the way back from a business trip I drove past the contractors house to get an idea if there were any serious assets involve. While taking a picture of the house, I MET THE CONTRACTORS WIFE AND AFTER QUICK POSTURING ON A LAWSUIT, SHE OFFERED TO SETTLE FOR $3,000. I jumped at the opportunity and almost ran out of the house with the check in-hand. I called my wife on the way home. I was so shocked at the turn of events I figured the check would bounce or I would be arrested for harassment. I drove straight to the bank and deposited the check. Two days later it cleared. End of that story. 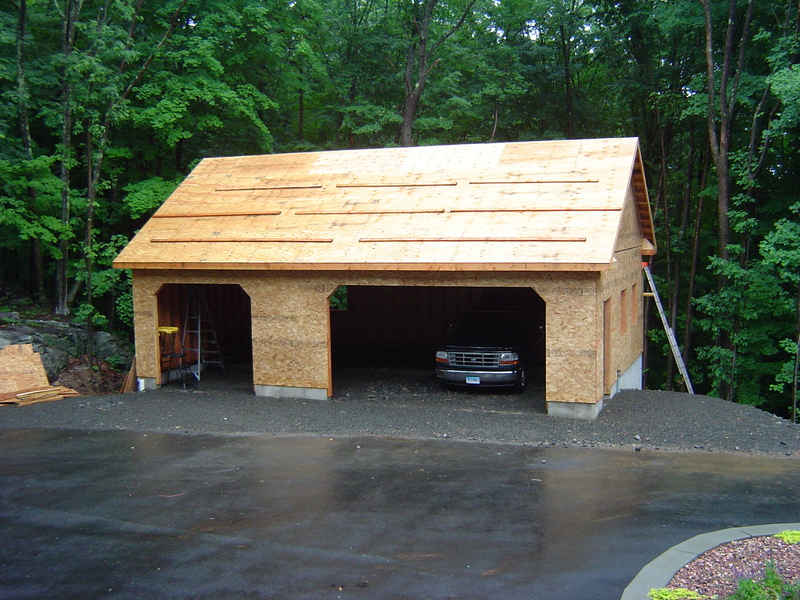 In the end when I total up all expenses and netted out the recovery from the contractor’s wife my garage cost me $35,842 out-of-pocket. This included the shell, interior, electrical and heat Not bad! It probably is worth $70,000. Just wanted to congratulate you for a job well done and for inspiring many of us who are scared to do what you just accomplished so masterfully! Well done! I have made your blog my home page, thus I can remind myself that it is possible with a little bit of patience and determination. Actually I am unemployed, and the job market is tough, thus I am thinking about starting my own little shop and see if it grows enough to make a living doing woodworking. As you know from my blog I have been woodworking since the early ’90’s. My first projects were not very good but over time, I developed enough skill and knowledge to be confident that any project I start will end with another work of art. Good luck in your pursuit. Turning a passion into a business is a lot of hard work and you never know what might come out. If you have any questions on woodworking, send me another message and perhaps we will get a wiki going where many woodworkers can offer opinions on solutions! Thanks for any fantastic submit. Wherever altogether different could any individual obtain that sort of information in that fantastic way with words? I’ve a demonstration subsequent week, and i am at the hunt for such information. Thanks for your comment. I would like to respond; however, I am not sure what you are asking of me. Can you rephrase your question and or need?